AuntGloria's sister, Saint Lois, is visiting. She tried to be helpful this morning. 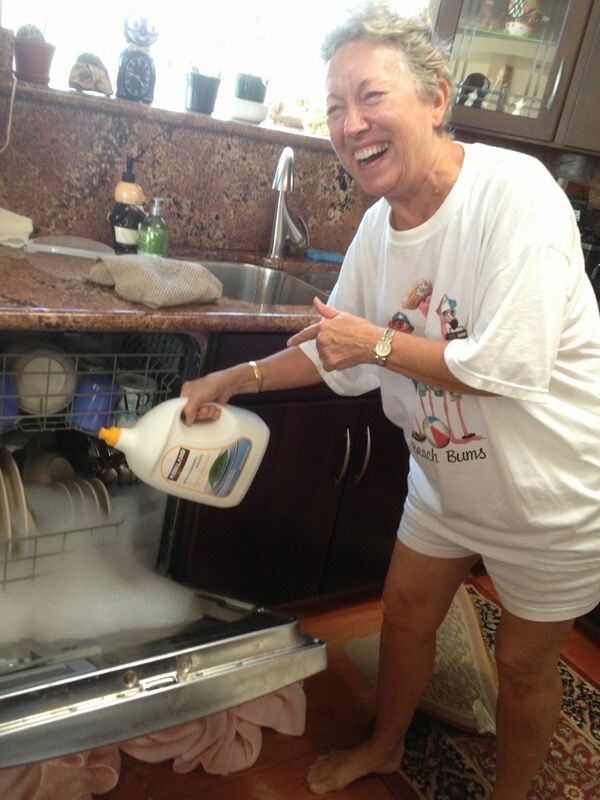 Why did she use regular foaming dish soap instead of dishwasher detergent? 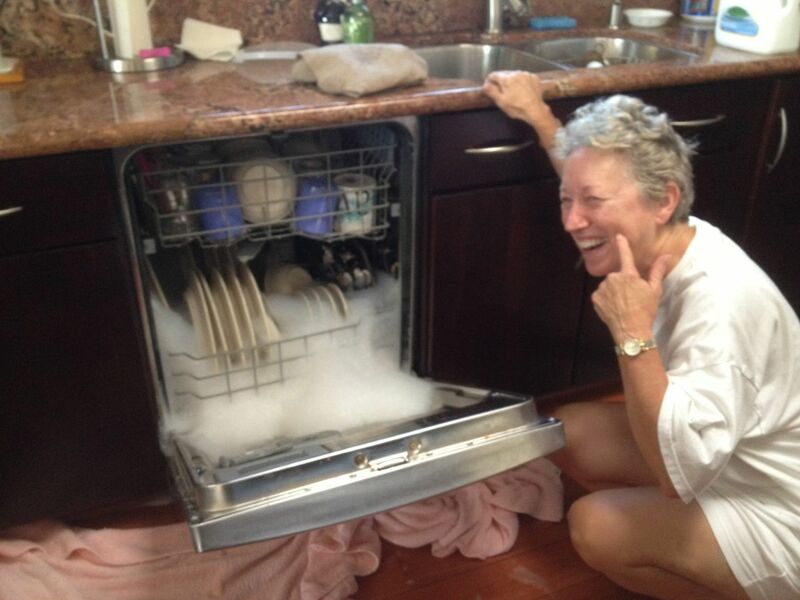 I guess they don't have dishwashing machines in Connecticut. "Saint" Lois? Looks like the work of the spawn of Satan! A minimum water temperature of 130 degrees Farenheit gets best results. Inadequate water softening often leads to mineral residue buildup. This accumulation may be best cooktop removed with vinegar or citric acid. You may also add 2 cups of white vinegar to your machine every 2 months in order to effectively eliminate hard water deposits.